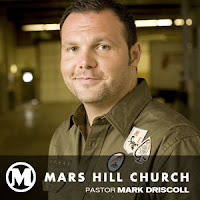 On Monday, I heard Mark Driscoll at a pastor's training conference - along with some 800 ministers, of various ages & stages of life & ministry. Among other things, Mark said Sydney lacks a zeal for evangelism, the denominational training & appointment systems stifle innovation, and single men shouldn't lead a church plant. Characteristics of a wise church planter. A checklist: am I a church planter? Ed Stetzer provides a theology of missional church. Darrin Patrick on the emerging church - talks delivered at the Francis A. Schaeffer Institute. How to be an assistant pastor.